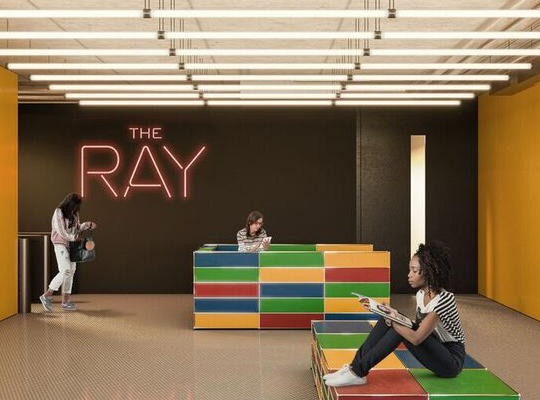 Crafted in harmony with its surroundings, The Ray’s modernised warehouse aesthetic keeps a respectful foot in the past, with perfectly honed interiors allowing its inhabitants to drive forward towards the future. 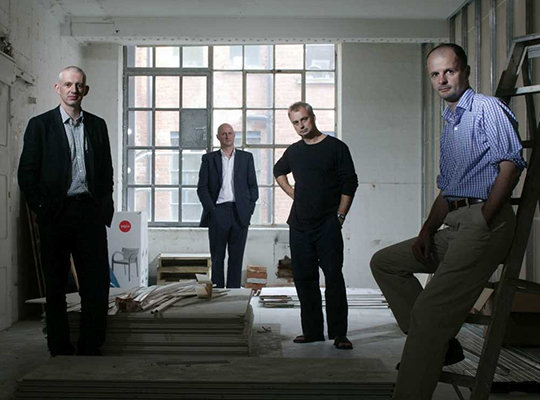 Winner of the RIBA Stirling Prize for Burntwood School in 2015 and recipient of many other awards for architecture and design, the practice has received public and media acclaim for its work across sectors. Light defines The Ray, it shapes it. 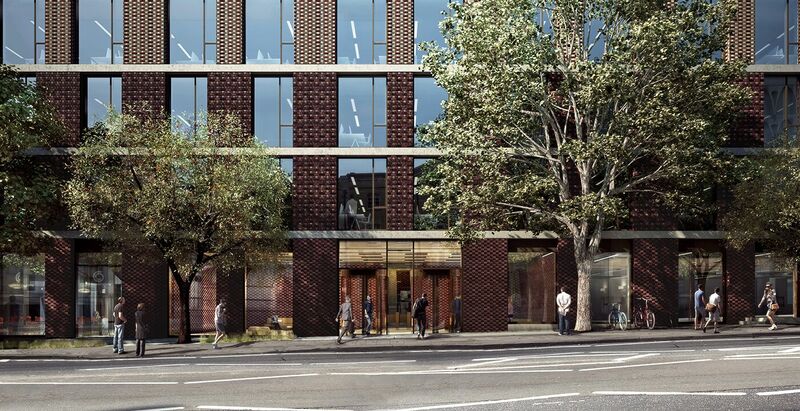 Externally, dark and earthy tones of brickwork at the ground floor gradually shift to a glazed and ethereal lightness at the top as the building reaches towards the sky, creating a visual play on scale, movement and form. 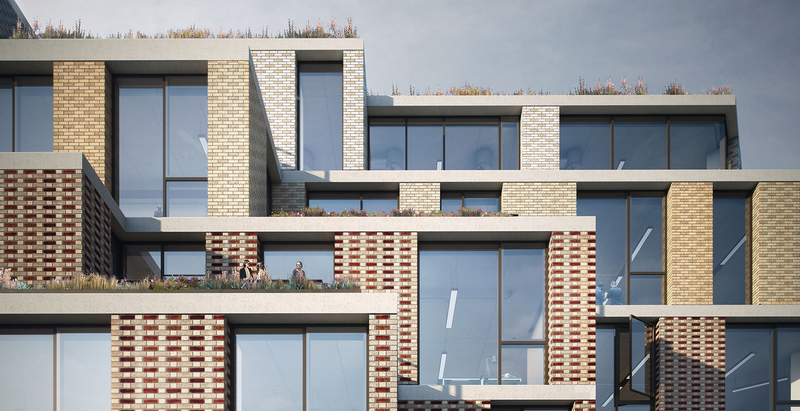 Internally spaces have been carefully hewn from the overall form to maximise the natural light, allowing it to flood the interiors through full-height windows and the glazing on the undulating terraces to every floor. London is one of the greenest cities in Europe. 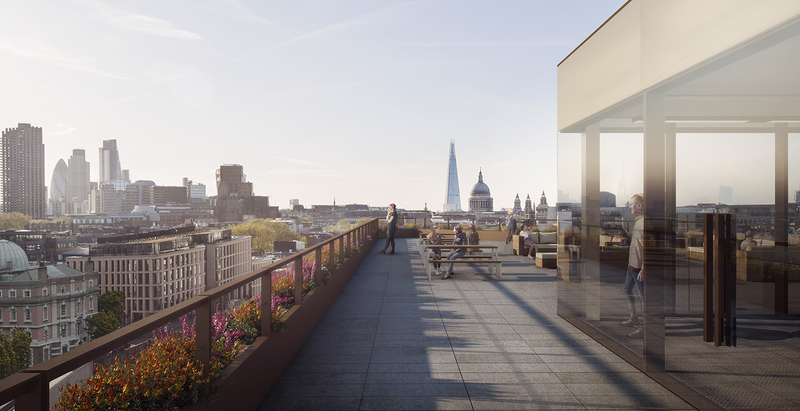 Rich, flora-filled planted terraces on each of its seven storeys provide every level of office space with its own tranquil areas of sanctuary. 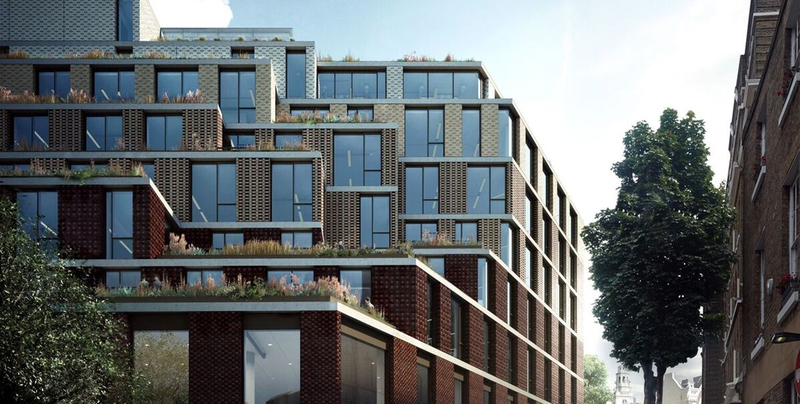 The effect when viewed from street level is the flawlessly harmonious interplay of architecture and planting across the distinctively stacked formation of the Crawford Passage façade. 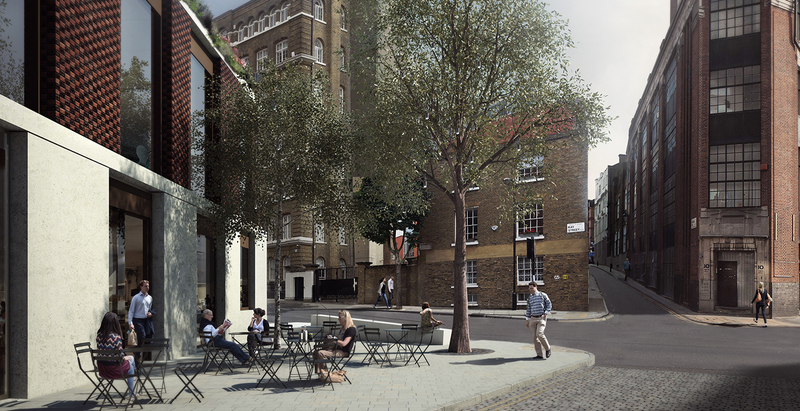 Clerkenwell has always maintained its village feel despite its central location and The Ray is set to be a very welcome new neighbour, aiming to create an inviting unity between the building itself and the public realm. 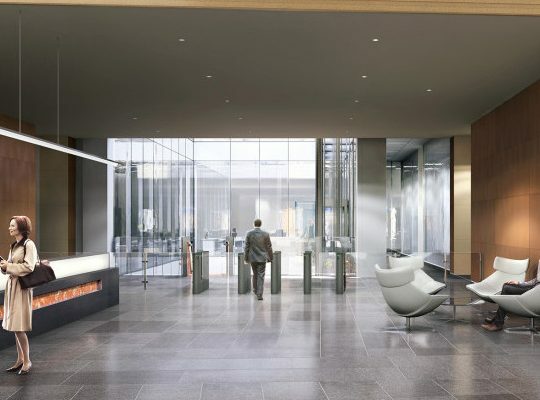 The ground floor will offer a voluminous, flexible space that can play host to a variety of retail, restaurant and gallery tenants. 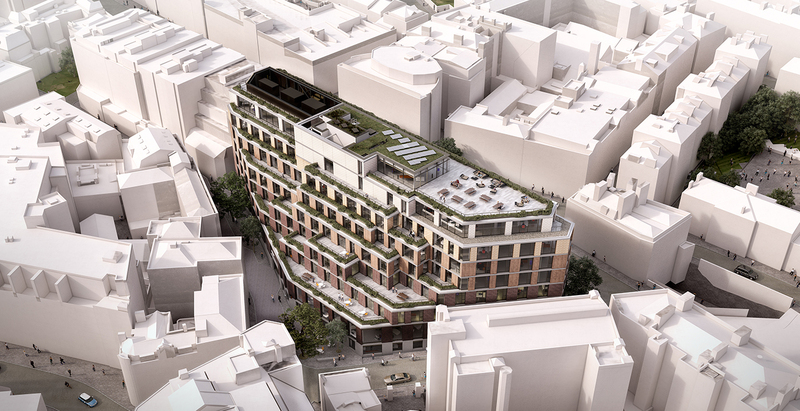 The Crawford Passage façade will be reimagined to be opened-up and planted, creating a bright courtyard space at ground floor level. 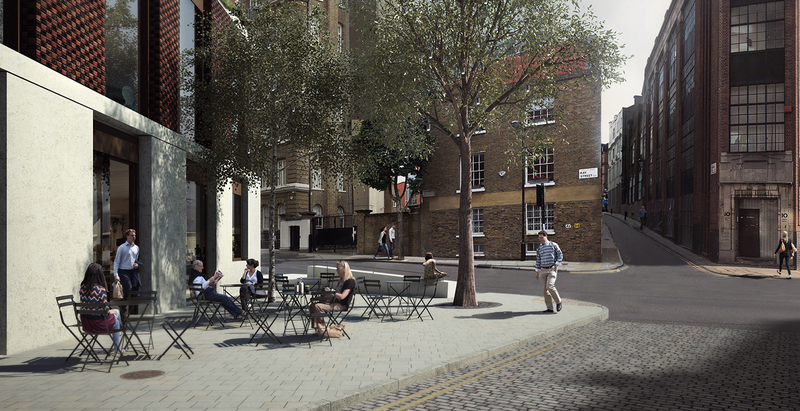 This subtle treatment retains an intimacy of scale that is inherently ‘Clerkenwell’ and will become a place for an al-fresco pause for workers and passers-by alike. 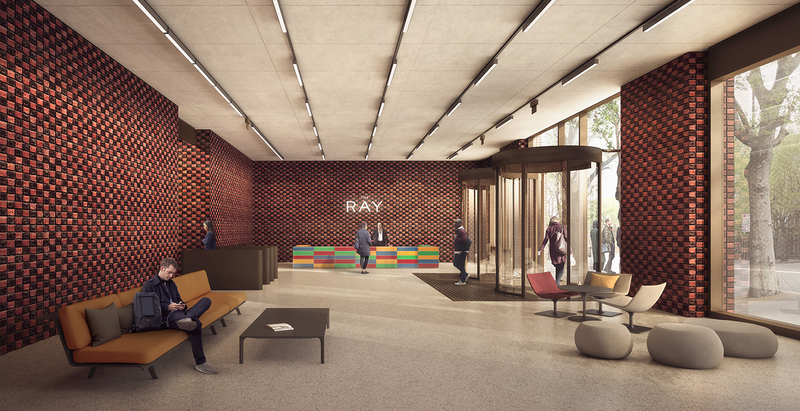 For those looking to arrive under the power of their own two feet, the extension of the North-South Cycle Superhighway will take you right to The Ray’s Courtyard level and its dedicated cyclist entrance. 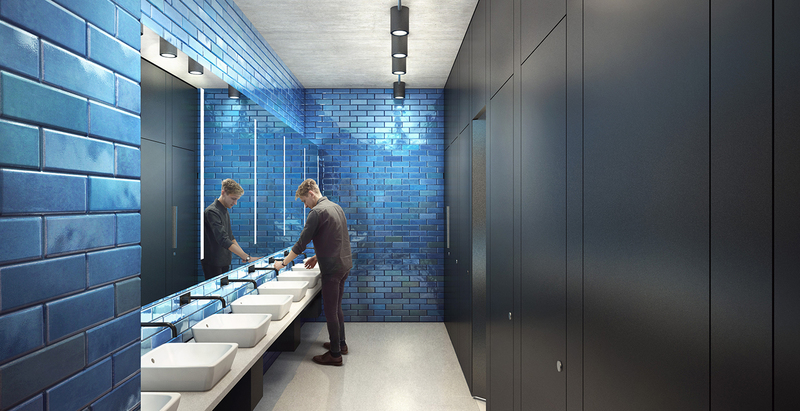 The Courtyard level holds 130 bicycle parking spaces, as well as locker storage, showers and changing rooms, ensuring that cyclists can breeze from arrival to the office with minimal effort. Viridis Real Estate is a dynamic property company based in London which has built a strong reputation for development delivery since it was founded in 2008. 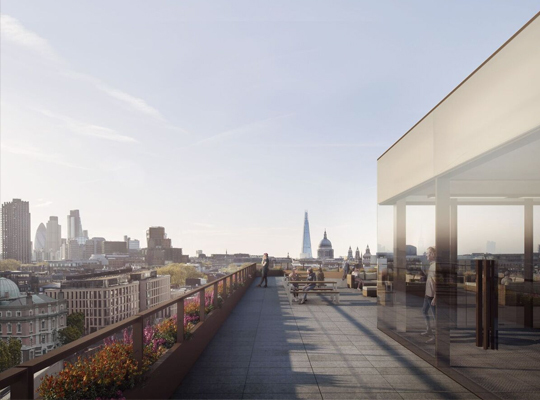 On behalf of its client investors, Viridis has completed two new-build Central London office developments at 67 Lombard Street and 28 Chancery Lane. 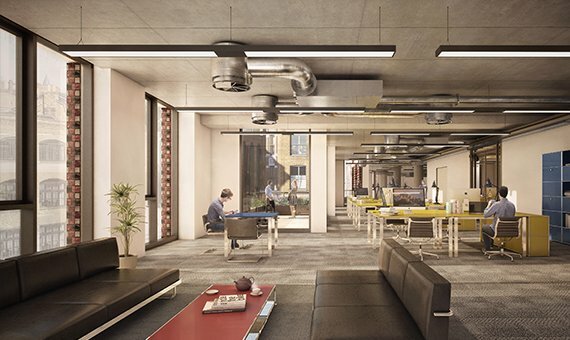 Totalling just under 200,000 sqft of high quality office space, both buildings are now fully let. The company has also recently delivered two new student accommodation schemes in Leicester and Cardiff providing over 1,000 beds. 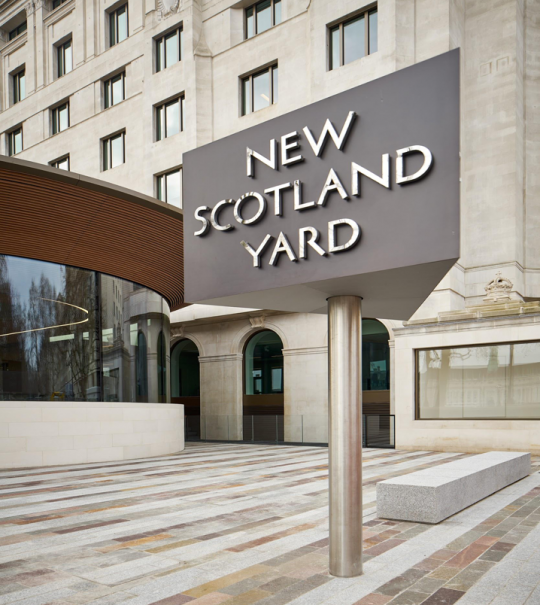 Further redevelopment projects are planned on sites already acquired in Central London and the Regions. 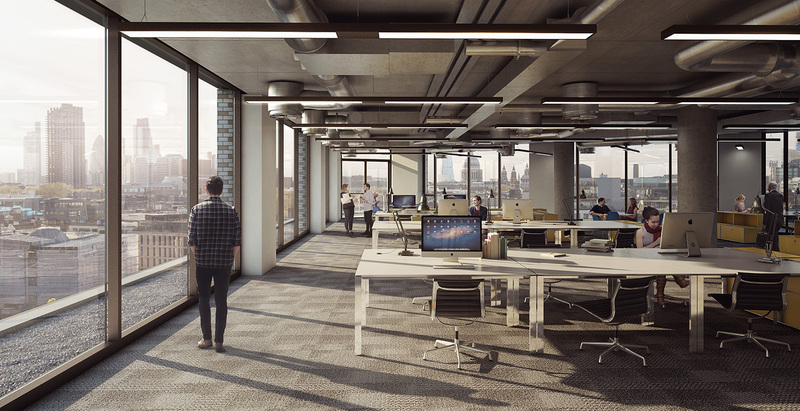 High-spec, versatile workspaces with terraces on every floor.